Restoring Newburgh…. One House at a Time! The City of Newburgh has many homes that date back to the 19th century. The architecture of these older homes is a style seldom used currently in new construction. Attention to detail with crown molding, archways and stained glass found its way into many homes back then. These details are a delight, but seldom used in the same fashion now. Federalist,Victorian and Art-Deco design are among the homes that have survived over the years. Many homes have had renovations and others are in major disrepair. When I drive down the streets of Newburgh I can’t help but think of what it must have looked like back at that time. So much potential to renovate what has been lost. It is time consuming and costly, but there is still a push to work towards that goal. Last week I was able to tour a home that needs some serious work. My investor is considering it, but is getting estimates of what restoring this home would cost. I never was a fan of stained glass as a child. My tastes have changed and I am now fascinated by the construction and look of these windows. I love how the light dances through the glass and shines in the home reflecting many colors of the rainbow.It takes a good deal of time and energy to make these old homes energy efficient and worth preserving. 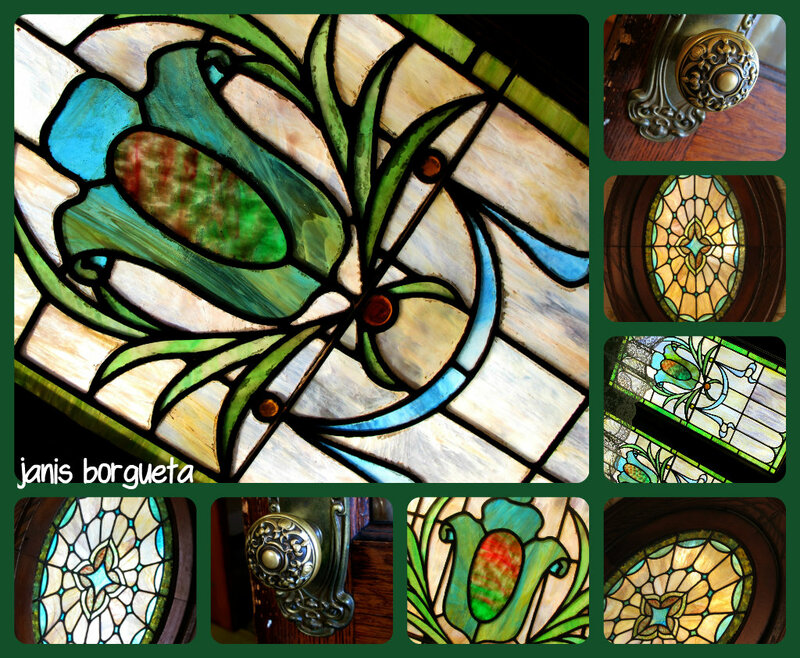 This old home had quite a few stained glass windows that were in pristine condition. What a bonus for any home owner. As a Realtor, I am lucky to tour these homes and enjoy the beauty! Check out these beautiful homes in the Historic District. When you find that perfect match I’ll be happy to show you around.